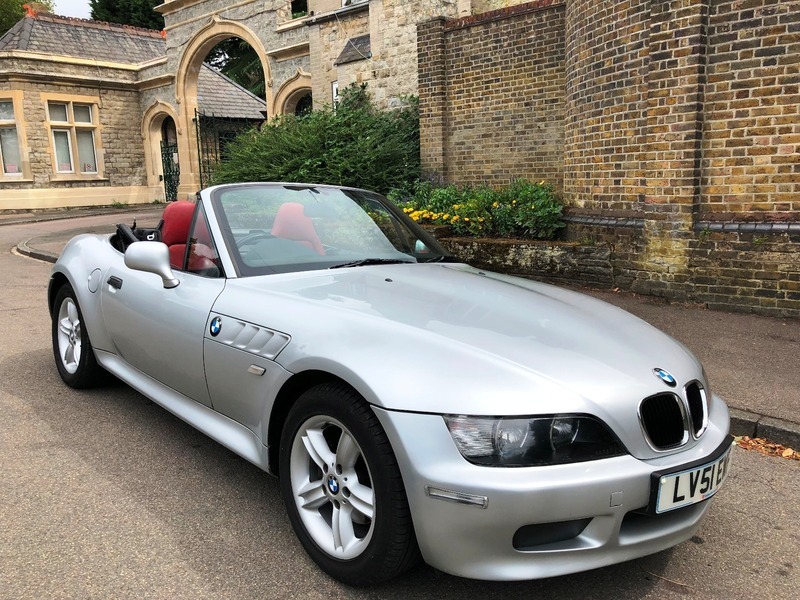 Stunning BMW Z3 1.9 2dr in excellent overall condition. Possible collectors car, 1 owner from new with very low 65187 miles and Full Service History. ( Still has it's old tax discs in the glove box.) Rare opportunity to find a car like this ! Sale price includes a new MOT & Service. Also includes 12 months FREE RAC Recovery & 3 months RAC GOLD Warranty. Red Leather Seats and interior, Electric Folding Softop, Electric Windows, Lockable stow box for Storage, Original Book Pack & Service Book - with 15 Service Stamps Recorded, Original Becker Radio Cassette - with Handbook, Power Steering, Remote Central Locking, Tinted Glass. Ideal car for our raging English Summer !